Adopted Liner Motor Drive for Table Longitudinal with Variable Pressure adjust type Hydrostatic slide way system can apply high speed grinding, crowning grinding, on machine measurement system by accurate position available. ・Adopted Liner Motor Drive for Table Longitudinal with Variable Pressure adjust type Hydrostatic slide way system have stable table speed from slow speed to 40m/min and capable to have Crowning, Multiple grinding, Free forming plunge or contouring grinding and one machine measuring and compensation grinding after measured. ・Our Variable Pressure adjust type Hydrostatic slide system 1/7 of table float amount and 1/4 of oil usage than normal hydrostatic system which have an advantage for increase accuracy as well as a big energy saving on temperature control system. ・Correspond precision grinding and mirror finish by prepare working environment. High precision and high efficiency demands in forward molds for motor cores for automobiles and liquid crystal parts processing field, portal type grinding machine that responds to high efficiency demands of shells of mold base processing industry and short delivery times. 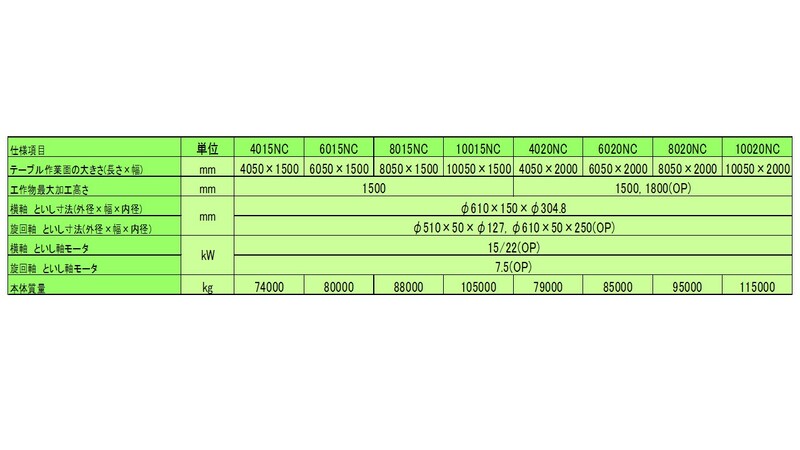 ・Correspond High Accuracy demand or High Efficiency Grinding demand for Progressive Die for Automotive motor core and LCD panel precision parts by Double Column Type Surface Grinder.Succeed footprint and easy loading/unloading style from longtime seller PSG208DXNC model, can be ground Max. 1000mm width by adopt 100mm width grinding wheel. ・There is no character in the operation screen, touch i-con and easy input. ・The CH-iQ series was equipped with an automatic data making function in a surface grinder for the first time. Input Total stock removal and Fine Stock removal, and input wheel grid size, then can make the most suitable grinding condition and dress condition. ・Further reduce cycle time by a combination of coarse grinding using overhead dresser as option and finish grinding by table mount dresser, besides shift-plunge contribute faster cycle time. ・Further reduce cycle time by a combination of coarse grinding using overhead dresser as option and finish grinding by table mount dresser. Widely Line-up Double Column Type Surface Grinding Machine series. ・Having mechanical adjust mechanism for cross rail straightness even crowning grind for against bend by head traveling, need fine adjust before completed assemble, also advantage to correct aging error after installed. ・CHNC series is compact size machine of the multipurpose use from customer's demand. ・We can offer as well as Polish or Lapping machine if grinding finish is not enough such high end products like photo mask, coating die. 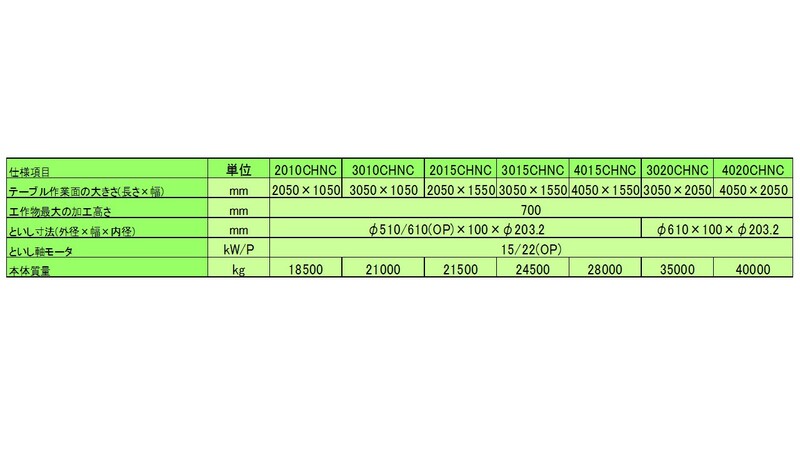 PSG-CHVNC series will change specification by workpiece, please contact nearest sales office. Best machine for complex slideway of machine tool. ・In order to get high level of accuracy in entire table area, crossrail have own designed adjustment mechanism for adjust the straightness.Cross making by crowning grind for against bend by head traveling.Having mechanical adjust mechanism for cross rail straightness to correct aging error without remove. ・Prepared crowning system as option for suit machine tools frame. Mother Machine for implant the accuracy to Large Machine Tool. ・Completed world largest Bed Grinder in hydrostatic slideway system achieved 30nm/m2 Flatness, grinding length 10m, width 3.5m (Pass 4m between column) capacity. ・Achieved 0.5μｍ/ｍ in Longitudinal 0.5 μｍ/ｍ cross axis for flatness.